A week ago, we found the sweetest surprise from Chloe Grace Moretz on our Instagram feed. The photo showed her and boyfriend, Brooklyn Beckham, sharing a warm embrace. But that's not all, because Chloe's caption was so cute, too—"I think I'll keep him. :)"—she wrote. So much love in the air! Ever since the If I Stay actress admitted her relationship with Brooklyn on live TV, they've been more open to expressing their love for each other online and offline. 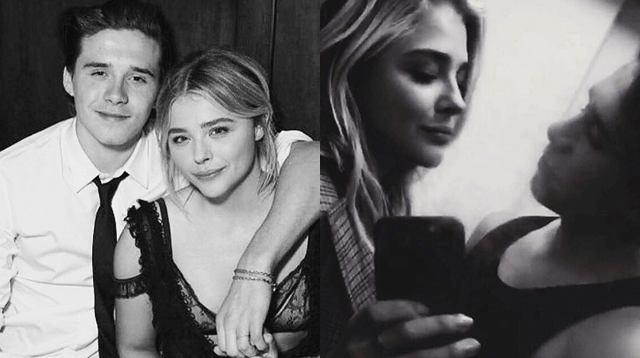 It's no secret that the two are in a long distance relationship: Brooklyn's from London and Chloe's based in LA. so we get kilig and a little sad whenever he shares how much he misses his bae, writing, "Missing this one. <3"